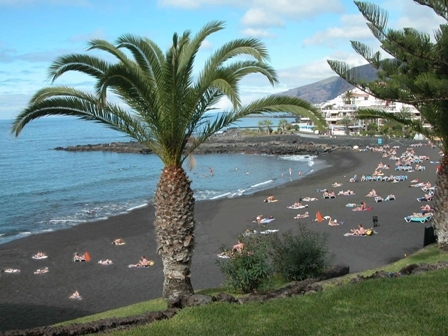 Playa arena beach has become the most awarded beach in Tenerife. Since 1987 as it has been awarded the blue flag each year for the past 23 years. The Blue Flag is a recognized symbol to stringent health and environmental levels, the presence of adequate sanitation and waste, rescue services, first aid and lifeguard as well as wheelchair access and other facilities for the disabled and free wi-fi internet access.